It was not totally unexpected. 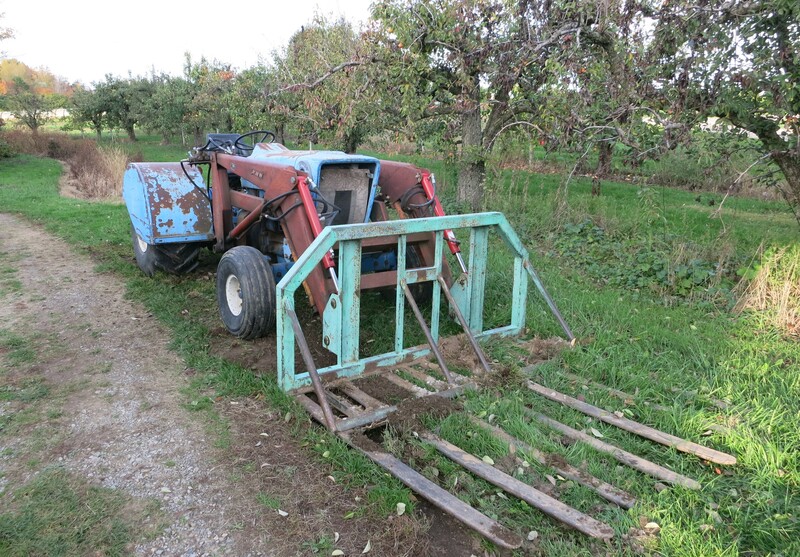 The tractor was old & ailing. Addicted to ether, it wouldn’t start without a shot or 2 (or 3 or …) of the smelly stuff. Once running, it spewed so much smoke from the exhaust & from the engine that I could hardly see to drive. And how it leaked oil – from everywhere and all the time. But the end was sudden – a sputter & then it stopped. I sensed that it was final. Our mechanic came by, checked it over & confirmed that the tractor was finished. It had served us well for 35 years. 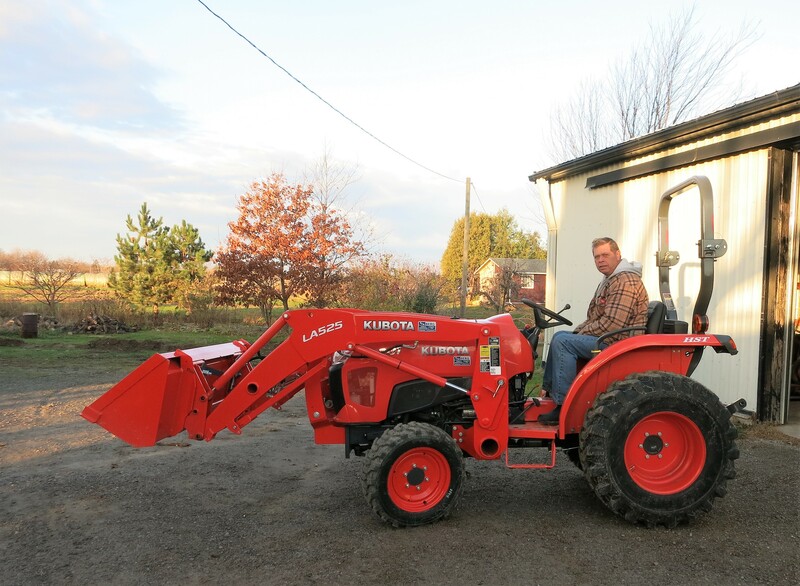 The replacement has arrived – a brand new tractor that is nothing like the old one. It is smaller & less powerful, but quicker & more nimble, easier to drive, and most importantly everything works! But the biggest difference? It’s orange instead of blue. Any new tractor we have ever purchased (there’s been 4 or 5 in the 70 years our farm has been around) has been blue. Until now. Our neighbourhood seems to be turning orange when it comes to tractors, so who are we to buck the trend! But actually they supposed to be an excellent tractor & it seemed to best fit our needs on the farm now & for the future. I’ve been breaking it in spreading manure & compost these last few days. So far so good! Here’s hoping for 35 years of good, dependable service from an orange tractor! I’m told a Kubota is a fine product. Best wishes. To Orange! !